The growing number of over 55 communities in the Tampa, Florida, area isn’t exactly surprising. 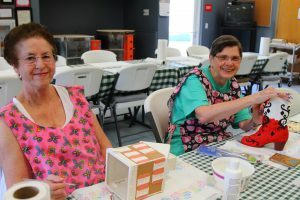 That’s because the west central region of the Sunshine State has, in recent decades, become a magnet for older adults in search of low-cost housing along with a diverse range of interesting activities. The Tampa Bay area – which comprises Hillsborough, Pinellas, Pasco, and Hernando counties – is a playground not just for retirees but for people of all ages who enjoy immersing themselves in the local culture. If you are 55 or older and think that you might like to live in a 55+ community in this region of Florida, then why not consider becoming a resident of StrawBerry Ridge? Our community features affordably priced manufactured homes, lots of amenities, and professional onsite management provided by award-winning developer Blair Group. We welcome retirees, older adults still in the workforce, and seasonal residents – anyone age 55 or older who desires to get the most out of his or her savings in a fun, gated environment just outside of a vibrant metropolitan area. StrawBerry Ridge isn’t just a place to live … it’s a lifestyle! Contact us today to request more information about StrawBerry Ridge and how it compares to other over 55 communities in the Tampa, FL, area.